Can an ant and the bully who bullies him ever get along? Maybe, but you won't know for sure until you see this 3D animated feature film written, directed and produced by DNA for Warner Bros. and Playtone. Can a teenage boy genius inventor save Earth's adults from eggy aliens? 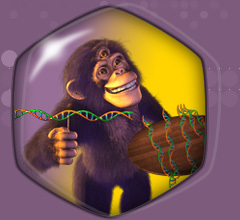 Find out in the animated feature film that DNA produced, wrote, directed and animated for Paramount and Nickelodeon. And, check out Jimmy's adventures in the Nickelodeon TV series that is currently in production at DNA. Can a lonely snowman find love and acceptance by staging a coup de Kringle? Possibly.... Discover how in this holiday special written, directed and animated by DNA. This Christmas special was created for television and can also be seen at IMAX theaters during the holiday season. Can a sweet but confused dog discover her true nature by taking the advice of her pet flea? Of course she can. Christmas cartoons are all up in that true nature gig. And honestly, when was the last time a flea steered you wrong?